In the last six months, 44 percent of Russian online consumers used mobile devices to purchase goods or services at least once. New study shows that m-commerce is growing in Russia even as more than a third of respondents continue to be wary of paying via app. Nearly half of Russian online shoppers — 44 percent — make purchases via their smartphones, but an almost equal amount distrust online payment systems, according to new research by Nielsen. In the last six months, 44 percent of Russian online consumers used mobile devices to purchase goods or services at least once, according to the Nielsen survey. The global average was 38 percent. According to the report, 66 percent of Russians use mobile devices to look up product information, 56 percent to compare prices and 48 percent to look for coupons or deals. At the same time, Russians continue to be wary of payments via mobile devices – 36 percent of respondents are not sure about the safety of online banking operations and the same number don’t see the need for the service at all. Forty-one percent of respondents said they would not carry out a transfer of funds from one bank account to another from a smartphone, which is 13 percent lower than the global average of 24 percent. Russians are less likely than residents of other nations to pay via smartphone in bars, restaurants and stores. Only 30 percent of Russians would take out their phone to pay in these situations, compared with 40 percent worldwide. However, Russians are just as attached to their phones are their peers around the world. 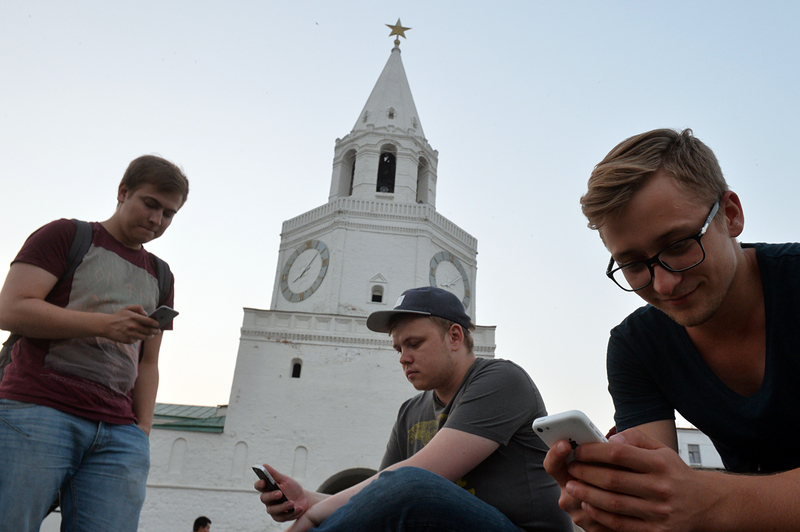 Fifty-five percent of Russian and 56 percent of global consumers cannot imagine life without mobile devices and 54 percent and 53 percent, respectively, feel anxious when a smartphone is not at hand. Despite the fact that just over half of Russian users are not ready to use applications for purchases, the conversion of retailers who actively use mobile applications has increased by 90 percent compared to those who are just beginning or planning to integrate this tool, according to research by digital advertising firm Criteo. The firm’s recent study showed that in the first half of 2016, Russia's share of mobile transactions grew by 13 percent. "Mobile commerce has reached a tipping point in its development: Now mobile transactions exceed the number of purchases made from a personal computer, as retailers continue to develop their mobile trading platforms," said Emin Aliyev, managing director of Criteo in Russia. According to the forecast of J'son & Partners Consulting, the market for m-commerce — mobile payments, payments for purchases and other financial transactions using mobile devices — in Russia will exceed 2 trillion rubles ($31.6 billion) by the end of 2016 and reach 2.5 trillion rubles ($39.5 billion) in 2017.